Tatiana Constant was an expectant mother approaching the delivery of her firstborn. She had the support of a large family and network of friends, and was eagerly expecting her new arrival. 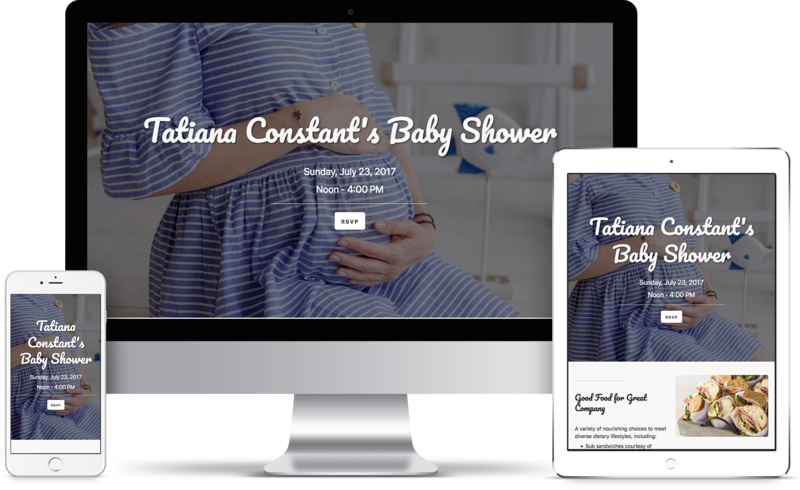 Tatiana was in need of a way to broadcast her baby shower details to members of her network of more than fifty people in six states. She needed to ensure her privacy was protected, but that the most important information was available to those who needed it. She also needed a way for potential attendees to RSVP quickly and easily, in a way where she could easily keep track of her guest list. 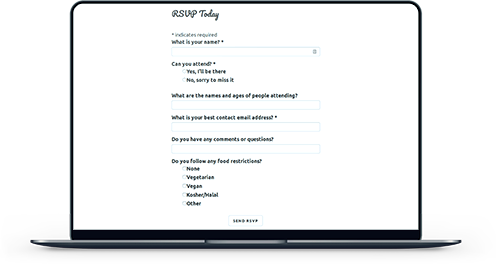 To ensure the RSVP system was efficient and cost-effective, I integrated the MailChimp service. This also enabled Tatiana to have an email-list of attendees ready for updates about the pending shower. To simplify the experience for Tatiana’s guests, I limited the website to a single landing page. The focus was on creating a clear, logical flow of simplified information as potential guests scrolled, and creating an emotional connection with vibrant imagery. To protect her privacy, the address was left off the website, and instead conveyed in mailed invitations and in person. I also provided space within the path for guests to view Tatiana’s shower registries, to make registering and gift-giving easy to do at one time. 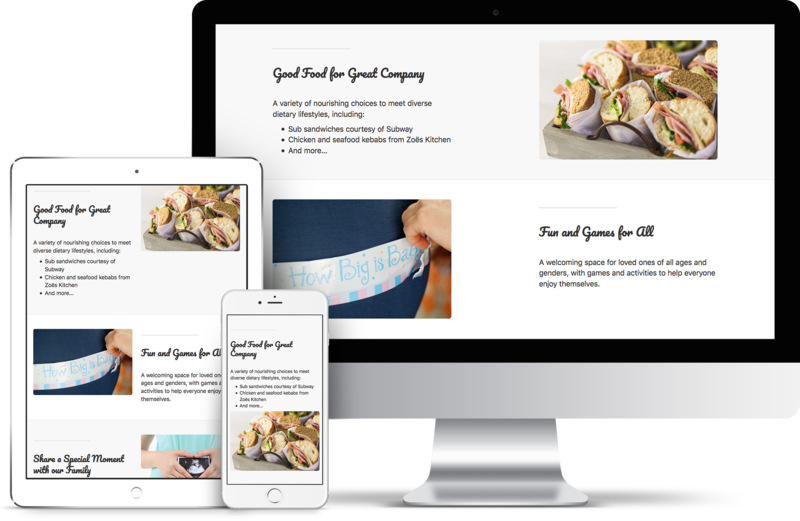 Creating a website that would accomplish Tatiana Constant’s goals without confusing or distracting potential guests, within the limited time before delivery, required communication and careful prioritizing. Following the creation of the website, a full 64% of her guest list RSVPed using the form on the website, including many who generally preferred less digital means of communication. Adding the remaining RSVPs to the MailChimp list proved to be a reasonable task. The day of her shower, Tatiana Constant enjoyed a full venue and strong in-person support for her impending arrival.